New rates of Vehicle Excise Duty (VED) will be enforced from April 2019 will see motorists paying more road tax if their vehicle does not meet Real Driving Emissions Step 2 (RDE2), a standard put in place to help reduce the amount of CO2 being emitted from vehicle exhausts. What is Vehicle Excise Duty used for? Despite what most people think, vehicle excise duty (road tax) is not directly used to pay for our roads and is used by the government for things like infrastructure, local projects, teachers, hospitals etc. Find out more about this here. How Much will my Road Tax Increase by? The amount of road tax that you will be required to pay will vary depending on the tax band it falls into, type of vehicle and CO2 emissions. See the table below for more information. Vehicles registered on or after 1st April 2019. Cars registered between 1st March 2001 and 31st March 2017. 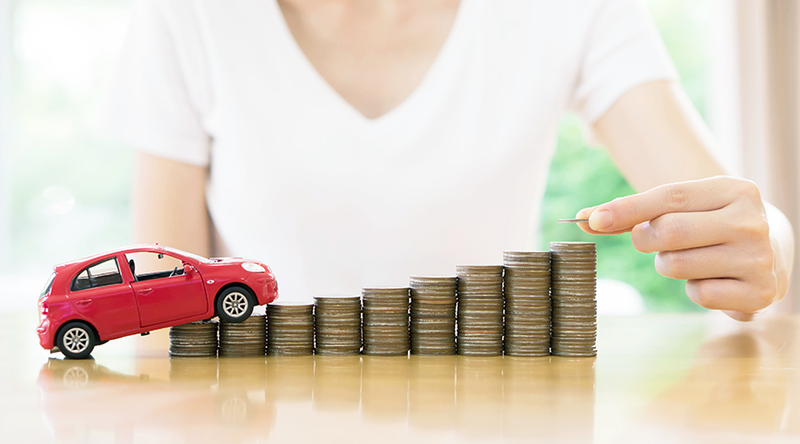 If you’re unsure about what tax band your vehicle falls into, you can use the free vehicle tax rate calculator available on the Vehicle Certification Agency (VCA) website. Are Any Vehicles Exempt from Paying Road Tax? Electric vehicles must be powered by an external source or an electric storage battery that is not connected to a power source whilst the vehicle is moving to be exempt from paying VED. Although, if your vehicle is worth more than £40,000 and registered after 31st March you will be required to pay additional tax. All vehicles manufactured before 1st January 1978 are exempt from 1st April 2018. You can claim disability exemption when you apply for vehicle tax. Find out if you’re eligible and how to claim. Does My Vehicle Meet RDE2 Standards? Find out whether your diesel (TC49) or petrol car (TC48) meets the RDE2 standards from the information given in the table, which highlights the amount you will be required to pay based on the type of band and the amount of C02 emissions your vehicle can emit. Should I Make the Switch to an Electric Vehicle? Lower fuel costs, with a range of 100 miles costing as little as £3. Exemption from the London Congestion Charge. Free parking and charging are available in some areas. Grants are sometimes available towards the cost of an electric vehicle. Our highly experienced team at Autocare Centre Chepstow have been rewarded their IMI Qualification, meaning that we are fully trained in servicing, repairs and carrying out MOT’s on electric and plugin hybrid vehicles, as well as petrol and diesel vehicles. To find out more, or to book your vehicle in for its next service or MOT, call us on 01291 627137 or visit our website.